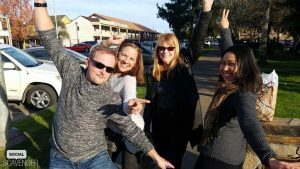 Event Description: A lively yet laid-back town, with shops, restaurants, public art and historic signage, Sonoma offers ample locales for tasting the local grapes while doing your corporate teambuilding program. Location History: Home to indigenous people for 12,000 years, Sonoma became a magnet for Spanish missionaries in the early 19th century. On June 14, 1846, Sonoma was declared the capital of the “Bear Flag Republic” in a revolt against Mexican control of California. The town’s status as the nominal capital of California lasted 25 days, ending with California’s annexation by the United States.